With the launch of our brand new website coming up, we felt it was only fitting to have some great imagery ready for the big reveal. The launch of the website comes in line with the launch of our Autumn/Winter 2017 collection, and we had the task of trying to do a winter photoshoot in June. 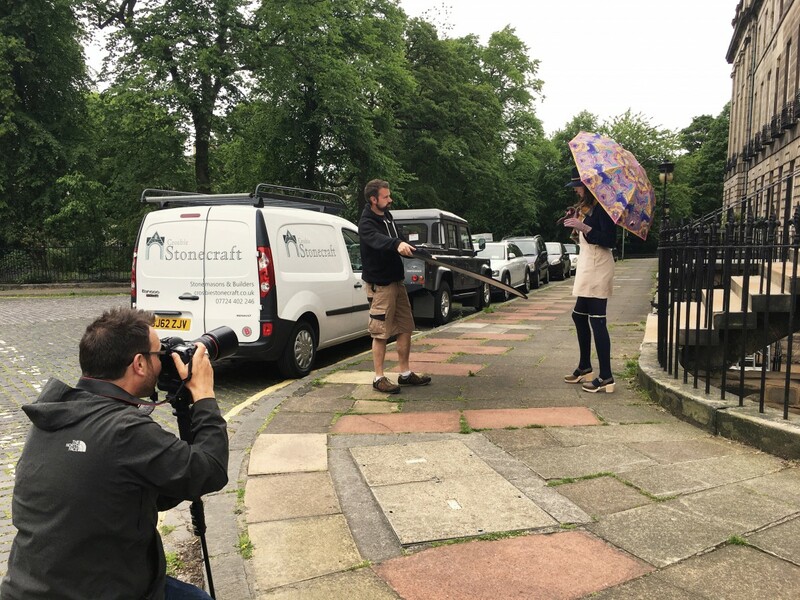 Luckily for us, our offices are based up in Scotland (where it feels like winter nearly all year round) so we were spoilt for choice for photoshoot locations. Our first photoshoot location was at Hopetoun House, a grand country house and estate just outside of Edinburgh. 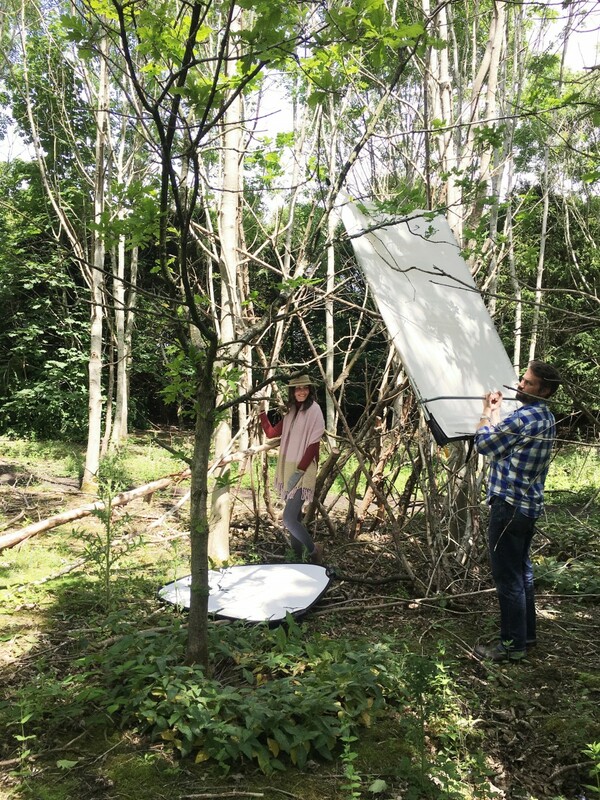 Using their beautiful grounds as the main setting for our campaign, we had the pleasure of being able to shoot in lovely woodland settings, and next to old castle ruins (one of which you may recognise from the TV series Outlander). Even in the middle of June it felt like we could just start wearing all of our cosy new products! For our second day of the shoot we travelled to New Town in Edinburgh. The grand Georgian buildings in this beautiful part of the capital city looked stunning alongside our new collection. After wandering the streets, we took the shoot inside to a beautiful apartment. The brightly coloured rooms perfectly matched the bright Powder products. We’re pretty pleased with the final outcome! 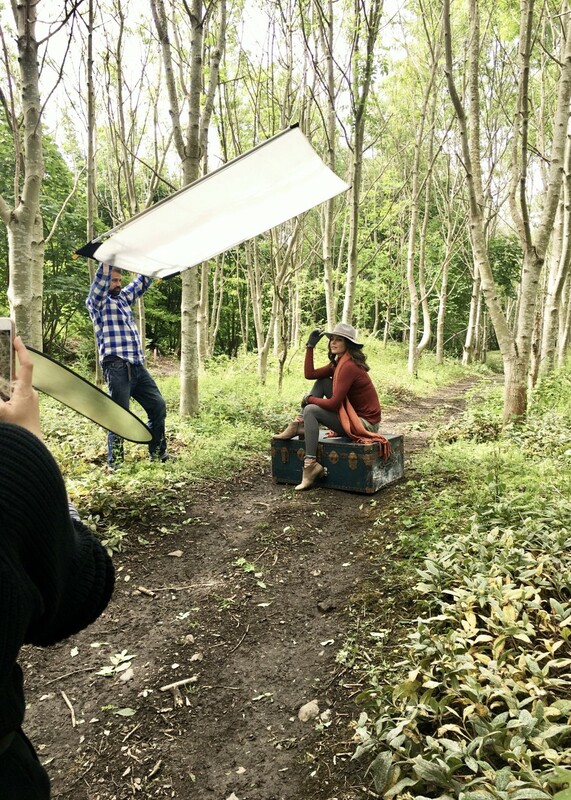 Keep an eye on our social media and website for our Autumn/Winter photoshoot images!